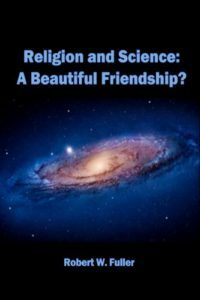 Religion and Science: A Beautiful Friendship? Although grievances leap to mind when we consider making peace with an old foe, ultimate success depends on identifying not where each side is wrong, but where each is right. Seeing some good in others doesn’t mean blinding ourselves to what’s wrong, and harping on the latter is no way to make peace. Current attacks on religion are ignoring the fact that it got some very big things right. However, religion must acknowledge that its spokesmen have repeatedly failed to distinguish between its great discoveries and its mistakes. Not only have some religious leaders ignored compelling evidence, but they, like the leaders of secular institutions, have all too often failed to live up to the standards of behavior they espouse. The difference between science and religion is not that one has “babies” in its bath water and the other doesn’t. The difference is that science drains its dirty bath water faster, leaving its gleaming babies for all to admire. Science gives us reason to think we can vanquish famine, disease, and poverty. Religion heralds “peace on Earth, goodwill toward men.” Neither of these venerable institutions can deliver on its promise without help from the other, but together there is reason to hope that they can.